Our cinema is open to all in the area – FREE car park, no online booking fee to pay, no popcorn mess – friendly & good value bar/cafe open from 6.40pm and film programme starts at 7.30pm. Featuring local drinks and snacks – local ice creams & sorbets by Simply ice cream from Ashford in Kent and award-winnning Kentish bottled lager and IPA from Chapel Down at Tenterten, organic Kentish juices from Moors, plus gourmet popcorn from Joe&Seph’s. 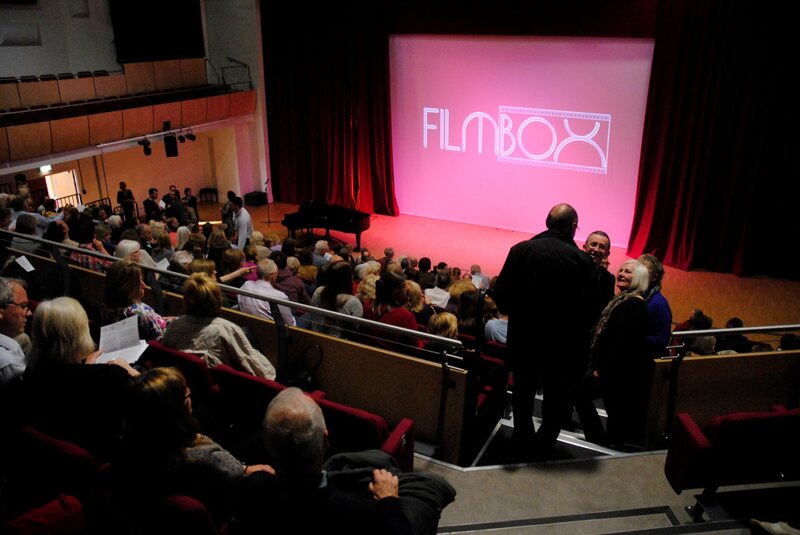 Run by an amazing team of volunteers, FILMBOX Community Cinema (a ‘not-for-profit’ organisation) offers you great value entertainment and much more choice of fab films on your doorstep! Location: We are based at Langley Park Centre for the Performing Arts, off South Eden Park Road, Beckenham, Kent BR3 3BP – with great transport links.